On his inspirational quest, Sean tried everything: Bungee Instructor, Dairy Farmer, Advertising Executive, Baker, Stock Trader, Firefighter, and more. Wherever he could find work, he’d go there, find a couch to crash on and immerse himself in whatever profession was at hand. And then he’d move on. 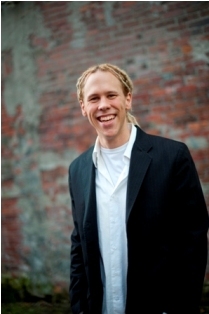 Sean Aiken graduated from Capilano University with a degree in Business Administration in 2005. At the top of his class, with a 4.0 cumulative GPA, he was voted the class valedictorian. He started the One-Week Job project at age twenty-five, with a goal of working 52 jobs in 52 weeks in search of his passion. His book about the experience was published by Penguin Books in April 2010.